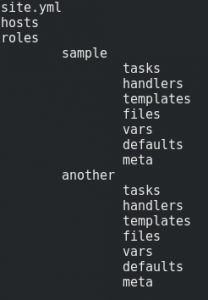 Working with Ansible is a real pleasure. You can build your own roles and big projects with many combinations and configurations. But sometimes you only want to quickly deploy a whole project with specified roles. When your automation needs to run many roles in different configurations, you face the problem of flexibility and fast deployment. Admittedly, Ansible community created tons of solutions, but maybe this one would be helpful for some of you. Especially with fast or temporary provisioning projects on the nodes without fully configured Ansible environment. add possibility of the installation multiple Galaxy Roles. I hope you find my role useful and it will step up your automation in some cases.